Here in the Beginning and Lower School we see classrooms as the birthplace for the continual renewal of our larger, pluralistic democracy. Our modern world is increasingly complex and interconnected. At the same time, it also feels fragmented as we all work to understand varying lived experiences and perspectives. The work of learning to be healthy, contributing members of diverse communities is perhaps the most important work we do. We know the children in our care are full of capacity, agency, and powerful ideas. They are not simply preparing for some future role; rather, we view them as active citizens right now. We help build these competencies in small and large ways. In a tiny moment of the day a Preschooler may share a point of view and teachers will thoughtfully respond with prompts to consider other viewpoints: "I hear you think the fairies are in the forest. What do other people think?" Thus, the child begins to think outside of herself and build an awareness of differing viewpoints. When a Kindergartner has an idea - "I want to build a stage!" - they are given the scaffolding and tools necessary to actualize their vision. As a result, the child begins to recognize their personal agency in the world. 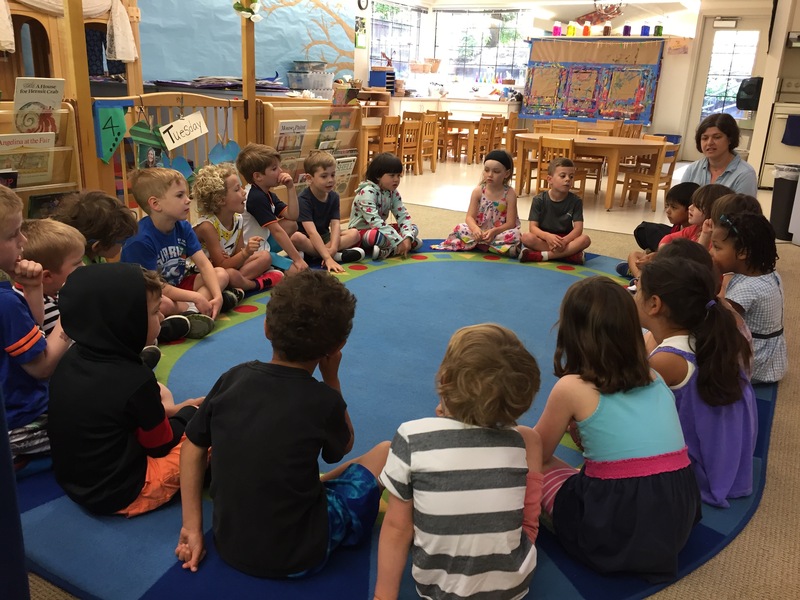 When problems arise in the classroom, Lower Schoolers gather on their classroom rugs and work to understand and solve the problem together. Already, they are engaged members of their community holding both the power and responsibility to ensure it is functioning well. How do we know and honor difference in people? By engaging in these questions, children learn to lean into robust conversation around privilege and power. While in the Beginning and Lower School children become investigators, readers, mathematicians, musicians, artists, writers and, maybe most importantly, citizens. Pictured: Beginning School students in their community meeting, where they share thoughts and feelings, pose questions, and offer opinions about life in the Beehive.